A canning salsa recipe teaches you how to make delicious salsa and preserve it so that you can enjoy it for several months, sell it, or bring it to a party. 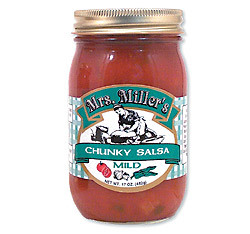 Canning salsa is not as simple as making it and putting it in a jar, as there are tips to follow and preservation rules by which you must abide. This process requires more time than simply making salsa that you are going to eat right away, so most people usually double or triple the batch so that the work only needs to be done once. Before starting on any canning salsa recipe, you must first begin with sterilization of everything, from the lids to the tomatoes. The first option you have for sterilizing is to just throw the cans, lids, and sealers in the dishwasher and let them run while you boil the tomatoes. The alternative is to turn on three of your four burners and have a pot of water boiling on each one. There should be one pot for the jars, another for the lids and rings, and the third for dipping the tomatoes before placing them in chilled water so that they are sterile and the skins slip right off. While all of the boiling and maintaining of heat is being done, you can start to prepare the rest of your ingredients. Blend about 15 of the tomatoes and chop the rest of them, along with the rest of the vegetables, and place them in a pot with the other ingredients. Let the mixture come to a boil and then simmer for 25 minutes. 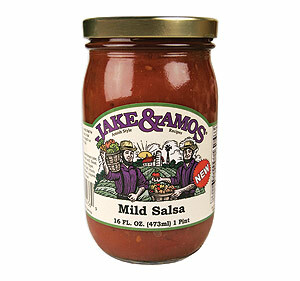 Proceed to fill the hot jars with the salsa using a ladle and funnel. Use a non-metallic object, such as a plastic knife, to remove any bubbles by running it along the inside of the jar. Clean the rim of the jar with a washcloth dipped in vinegar, apply the ring and lid, and put into a caner. Once the caner is full, give the pints a 15 minute water bath and leave the quarts in for 20 minutes. Using a food processor, dice, mince, or chop all of the vegetables to your desired chunkiness. Next, put all of the ingredients into a large saucepan and bring to a boil. Simmer about 15 minutes and then ladle into hot jars, leaving a quarter inch of space at the top. Clean the rims of the jar, wipe the rim of the jar with a cloth dipped in vinegar, place the lid on, and seal it until you feel resistance. Put the jars in boiling water for 15 minutes so that the jars and contents become sterilized, allowing the product to be shelf stable and no longer requiring refrigeration. Many canning salsa recipe are available on the web and on cooking shows, but the best recipes are always those passed down from one generation to the next. However you come across your favorite canning recipe just be sure to share some of that homemade goodness with others.